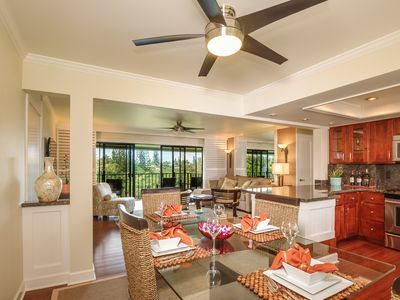 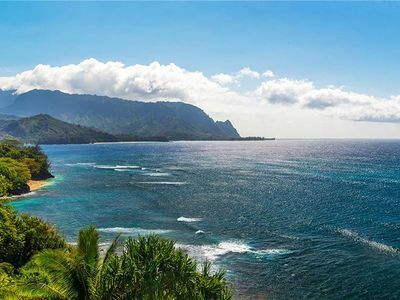 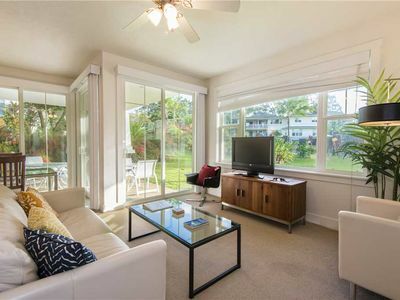 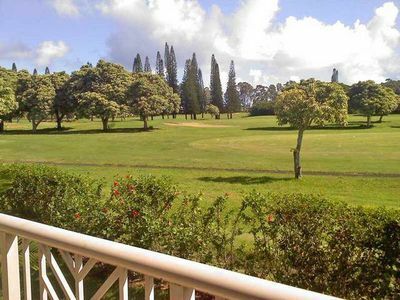 Welcome to Puanani, a beautiful three bedroom home located on Kauai’s majestic north shore. 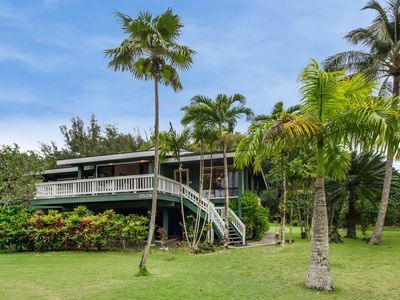 This large home boasts three private bedrooms, three bathrooms, two living rooms, a large wrap around deck with BBQ, outdoor shower, gorgeous views of the mountains and just a short 1 minute walk to Anini Beach. 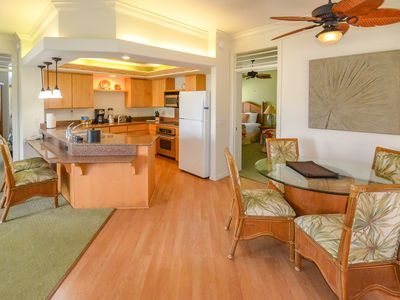 There is a king bed in the master bedroom and a queen bed in each of the other two bedrooms. 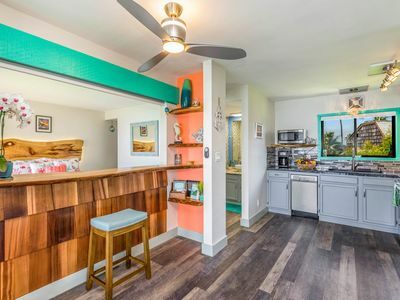 There is also a sofa-sleeper in one of the living rooms. 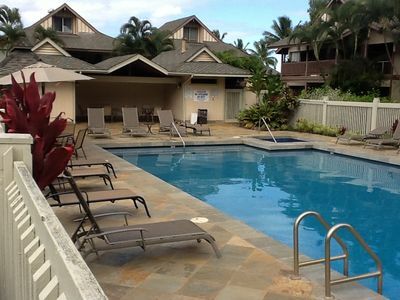 *7 Night Minimum. 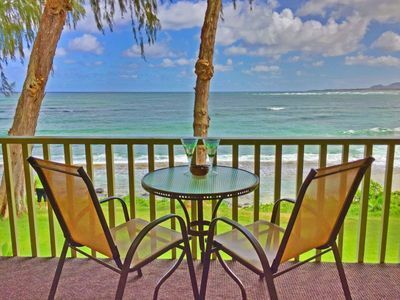 Shorter stays may be allowed if filling vacant dates between two bookings. 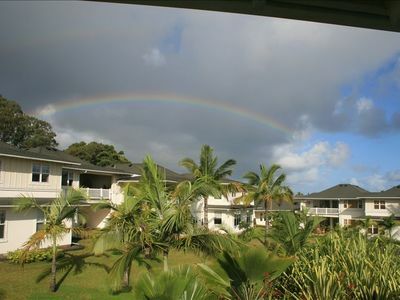 Please contact us if you are looking to book a stay less than 7 nights. 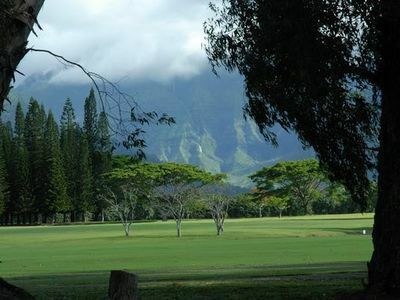 Other minimum stay may apply seasonally. 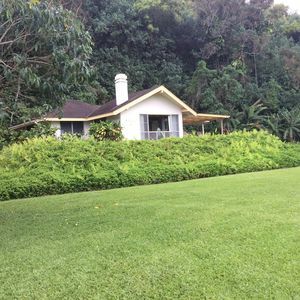 As with most homes on Kauai, this vacation rental is not air conditioned. 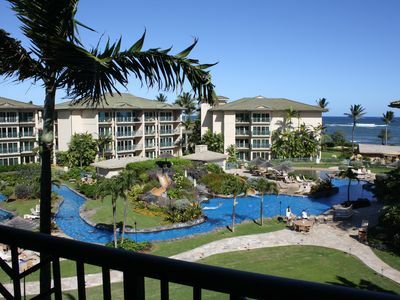 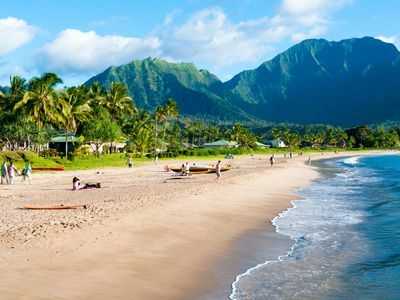 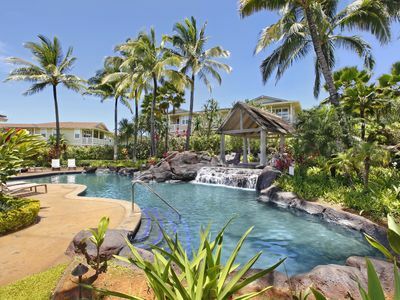 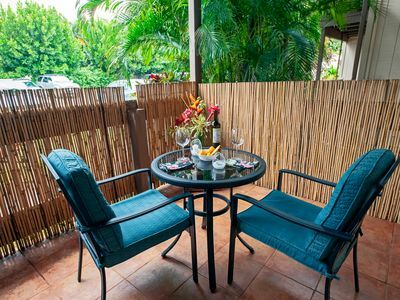 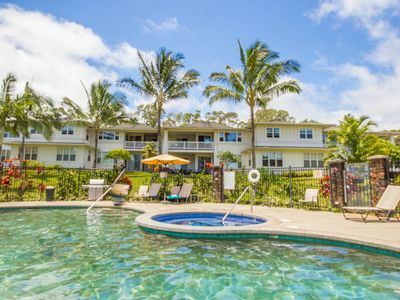 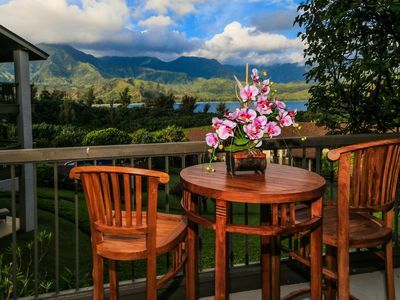 Hanalei Bay Resort 52012: Upgraded beachside 2br with AC, stunning view! 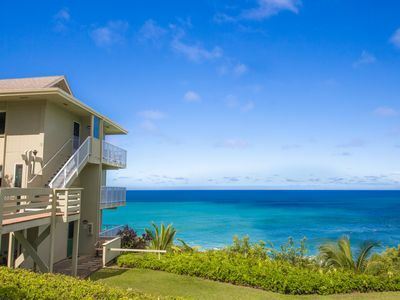 Beautiful oceanfront 2 br for 5 villa w/ breathtaking views! 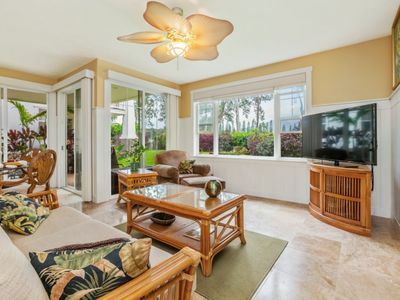 Beautiful 5 br for 12 luxury villa!